Seeing as our summer has once again disappeared, there’s no hope of anyone achieving a natural sunkissed look whatsoever – we need to turn back to the fake tan, stat, to get the last few wears out of our summer dresses. Although applying tan can be messy and fiddly, if you’re armed with the right tools it can be a quick and simple process that leaves you looking naturally golden. 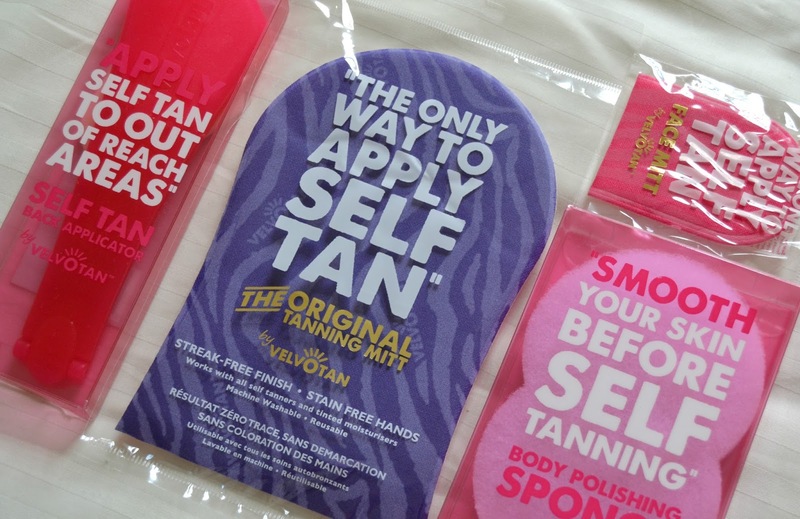 My top tip for anyone attempting to tan at home is to ensure you have an effective mitt, which not only aids application and prevents streaks, but will stop you from having that orange-palmed look which can be seen a lot on TOWIE cast members. 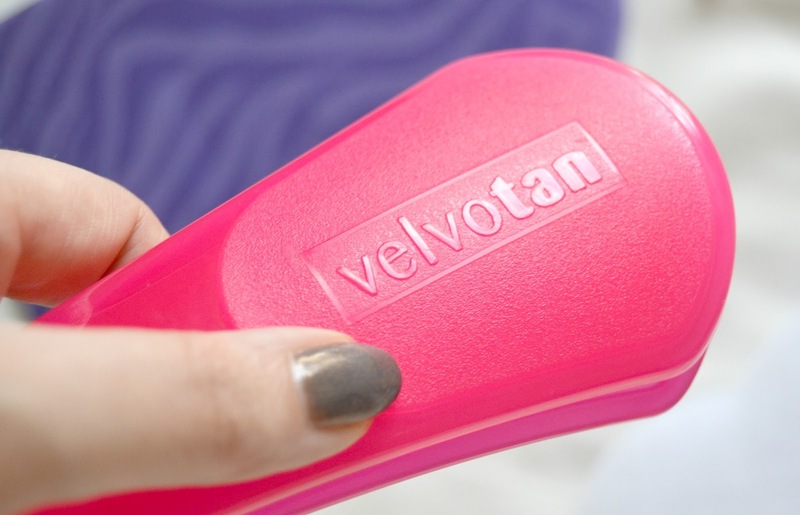 Velvotan are a tanning mitt specialist who make easy-to-use self tanning accessories that can help you achieve a professional looking result at home. cream, lotion or mousse safely before the application begins. 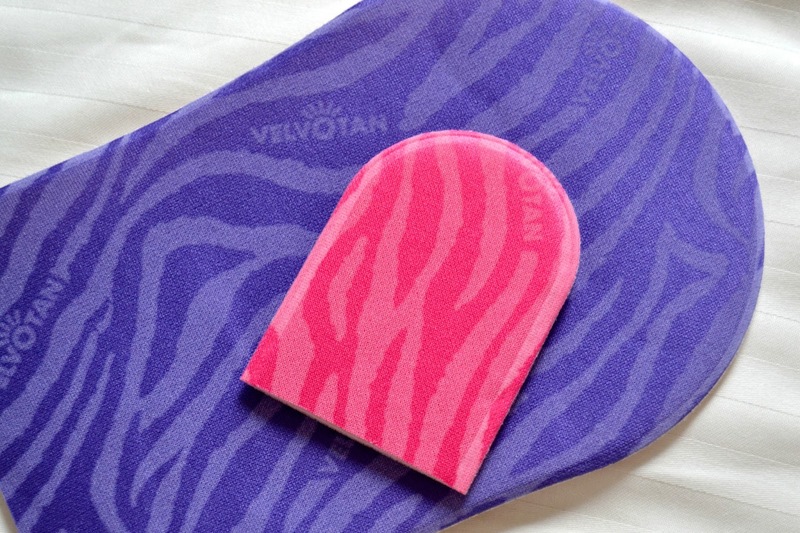 Velvotan have designed the mitts in the perfect sizes, ensuring that application is even and easy as pie. So many mitts I’ve used before slip of the hand and leave a fear-inducing stain on the carpet/wall/bathroom mirror/delete as appropriate – there’s no such worry with these as they’re designed specifically to work with your hand. 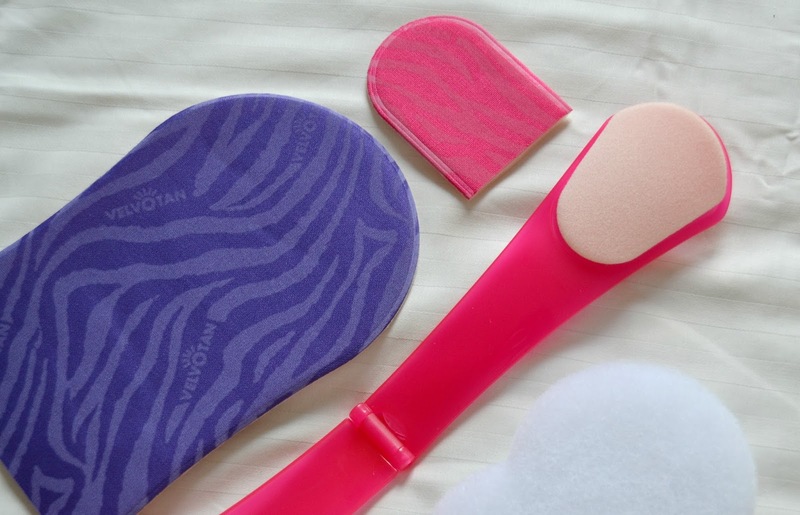 The range also includes a body polishing sponge to help prepare your skin in advance of tanning, ensuring you have a smooth and prepared base to work with, as well as an incredibly handy back applicator. The double-ended device includes the same material as the mitts, but in a flip-out format that can help you apply product to those ‘hard to reach’ areas that leave you contorted. I honestly don’t know how I ever applied fake tan without it! Velvotan certainly take an otherwise functional product and inject a bit of fun and magic into the process; if you have to look like a wally during ‘tan time’, then at least use a snazzy mitt while you’re at it. 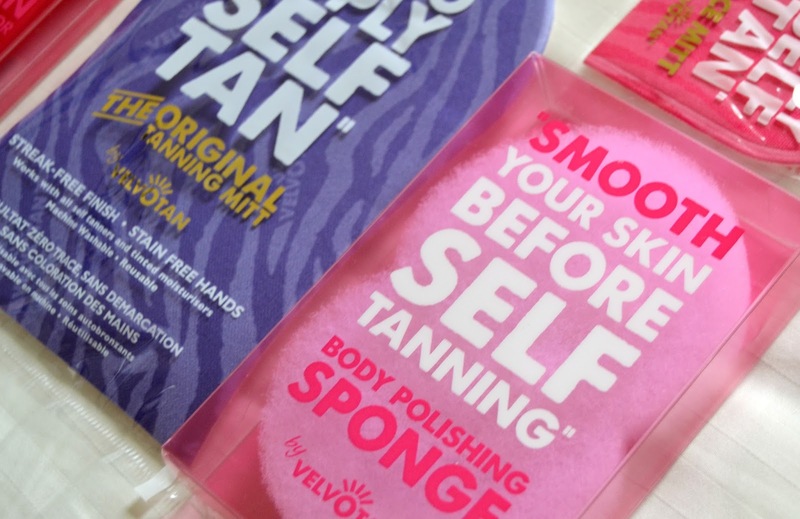 The Velvotan range is available online via Feel Unique from only £1.99. Right now the Velvotan Applicator Kit (containing all four items) is available for only £9.99!